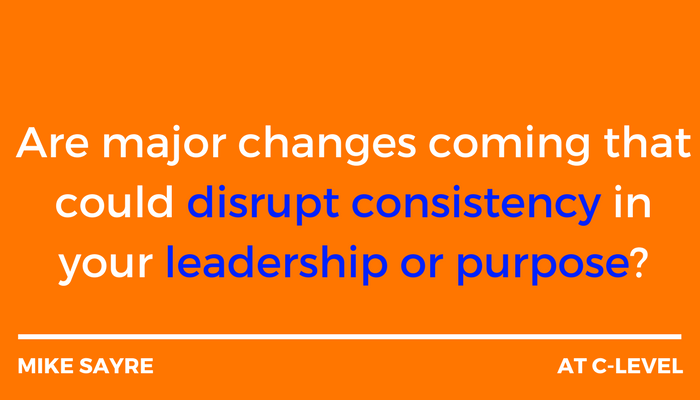 Do you see foundational changes your organization needs to make to ensure the constant innovation and evolution required to keep up? How sustainable is your company with its current business model and offerings? As importantly, how sustainable is its growth? 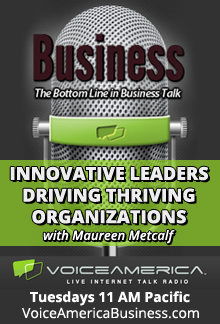 How can you lead, be a major driver, or at least participate and not get run over in a transformational change process? 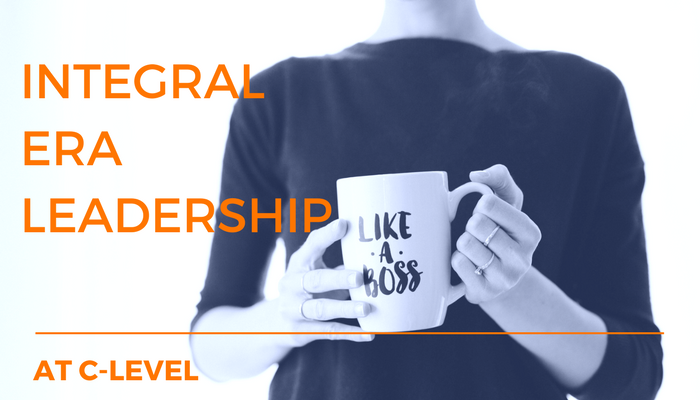 The “At C-Level” blog series I write is designed to help you think through how you can create the leadership and organizational transformation capacity to ensure your company is positioned to thrive over the long term and well into the future. In At C-Level #1–8, I wrote about one specific transformation I led and how my leadership skills were tested and developed in my first role as CEO. In C-Level #10–18, I write about three of the most successful transformations I’ve had the opportunity to lead in my career so far, using a seven-step transformation model that I now know is closely aligned with the Metcalf & Associate’s Innovative Leadership Transformation Model below. This #10 blog will briefly describe the transformations we’ll study and the basic seven-step process successfully employed in all three transformations chronicled below. The three transformations were implemented in different size companies, in different industries, with vastly different challenges, and were started and led from various roles within these different organizations. Large Manufacturing Company. Early in my career as a corporate financial analyst, then as a plant controller and the corporate controller in a Fortune 1000 publicly-held heavy manufacturing company, I started and led the transformation of basic accounting and financial reporting controllers into financial business partners for the leadership teams in business units across the corporation. Mid-Size Electronics Manufacturing Services Company. In a $75M publicly-held electronics manufacturing services company, I led a cultural, operational, and financial transformation, and an international expansion as that company’s CEO. Global Internet Payments Company. As a consultant and then the company’s President & COO, I led a cultural, operational, and financial transformation that resulted in a realized increase in the value of a privately-held $20M+ global internet payments processing company of 3X over a two-year period. You may be asking yourself what lessons one can learn from these very different companies and situations. Actually – a lot. I share much of what I learned as we go along and will synthesize all the lessons learned at the end, but here is the first take away: Change is never going to stop happening. In fact, it is speeding up. Embrace that! Significant changes in the company, the company’s business environment and/or growth over time will eventually necessitate wholesale changes to move the organization forward. I’ve seen that happen over and over in these three companies as well as many others, and someone needs to step up and lead those transformational changes…why not you? 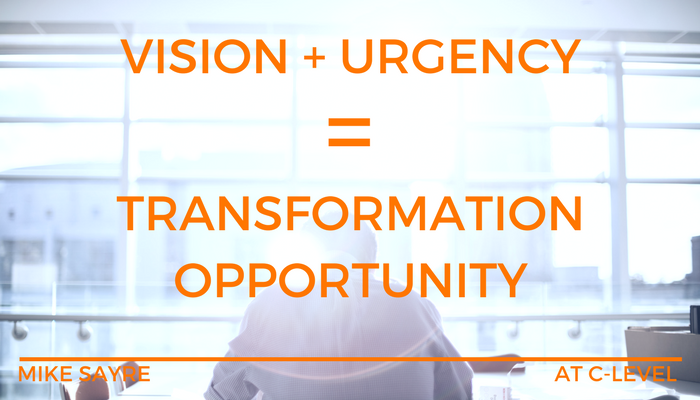 1 – Create a Vision & Sense of Urgency: A major transformation must have a compelling vision that everyone wants/needs to be a part of. 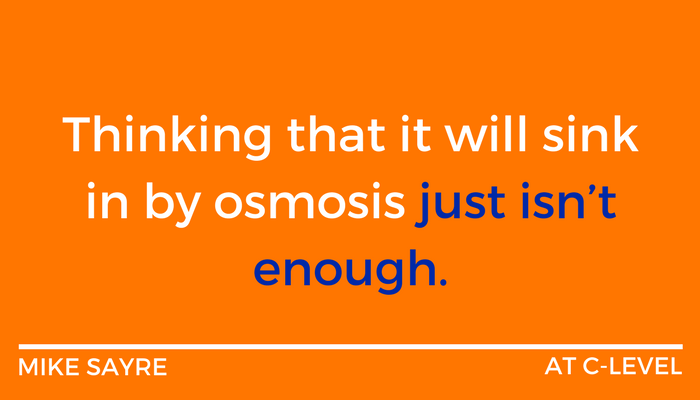 That alone creates a sense of urgency if there is not a crisis already. If there is already a crisis, the vision must provide a future that will keep everyone engaged to survive it and thrive thereafter (it’s called “hope”). Do you have a vision for your company that will drive your top change or transformation priorities and processes? 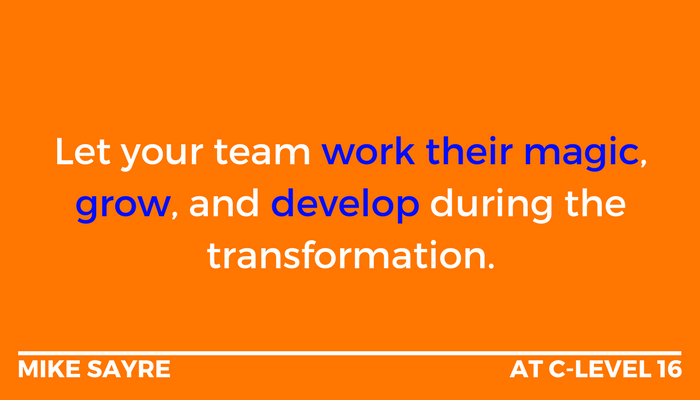 2 – Build Your Team: If it’s a major transformation, you won’t be able to lead it yourself. 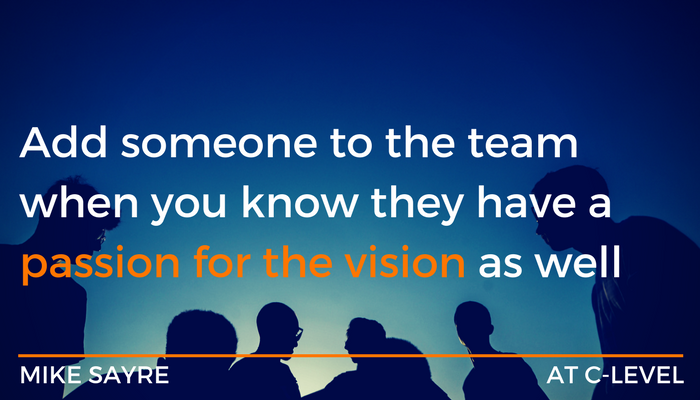 You need a team of subject matter experts and leaders who buy into the vision and will work with you to make it happen. Jim Collins calls it “getting the right people in the right seats on the bus” in his book, Good to Great. This is a thoughtful process. Do you know which people you need to implement your key change initiatives? 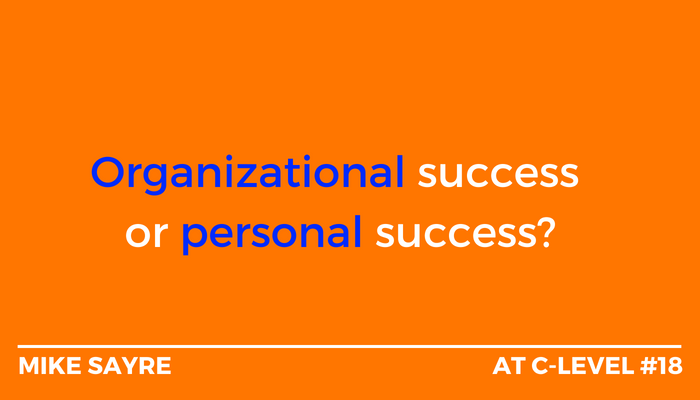 Hint: They may be different than the people you rely on to run your current business. A recommendation: Don’t be too quick to dump the people who have the most history with the company thinking they won’t want or aren’t able to change. 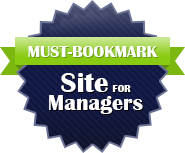 3 – Analyze Situation & Strengths: Again, be thoughtful and engage and listen to your team. The fastest way to get between two points is a straight line. The fewer detours you take trying out new products, services, people, or processes that do not serve you well, the faster your progress will be. Focus on the game changers with your vision in mind. 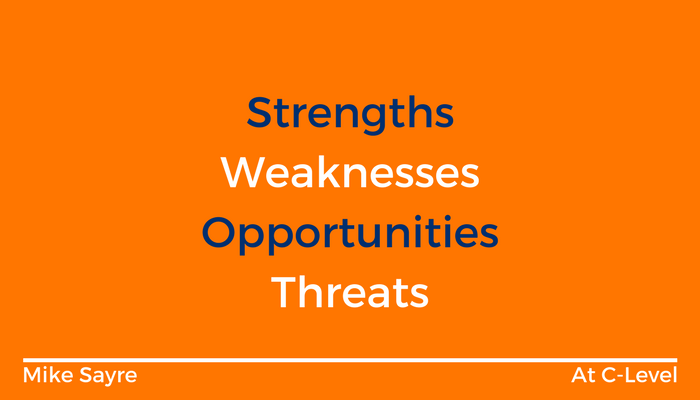 Have you evaluated your current strengths and weaknesses in the context of the changes you are trying to make? 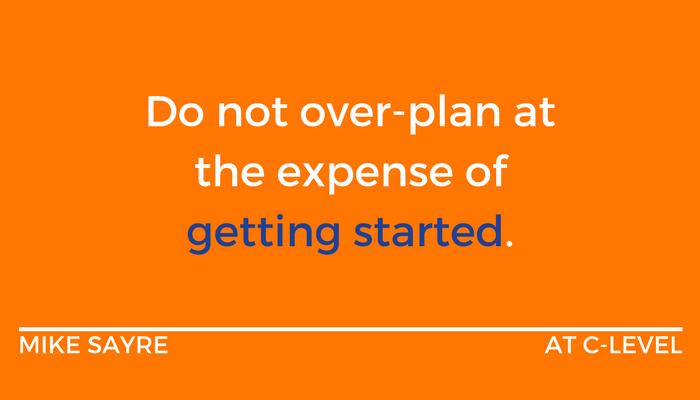 4 – Plan Journey: Include metrics, milestones, and decision points, but also discuss and plan how you may have to deviate from the plan when your initial assumptions and/or execution don’t play out. Always keep the vision in sight! You may also want to experiment to prove out your concepts on small projects before making significant investments in changes. How will you go about planning your change? 5 – Communicate: Start with the vision and the plan. Regular and consistent communication around the vision, progress against the plan, what’s working or not, needed plan deviations, metrics, and milestone celebrations cannot be overdone—even when you feel you are talking about them way too much, you are not. Do you have a structured communication plan that looks at the information each stakeholder group needs and when they need it? 6 – Implementation and Measurement: See steps 4 and 5. These steps are not really sequential in nature. There is lots of overlap, parallel execution, and even order changing depending on how the transformation needs to be done and is progressing. The seven-step process is only a model! Do you have a process to track implementation progress, barriers and risks and correct course? 7 – Embed the Transformation: Think sustainability…a strong vision, great people, and an enduring culture are required to do this. It is not easy, and persistence and patience are required. 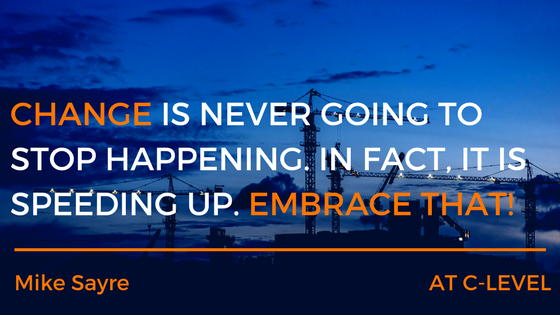 How will you embed the changes you are making in each of your processes, training materials, performance management processes, hiring criteria, and any other element of your culture and structure that will make the change stick? Or will it just go back to status quo after some short period of time, especially after you and the organization have made such a significant investment? In At C-Level #11–17, we’ll look more deeply at each step in the process and analyze how that step was implemented in the three different organizations I worked in. We’ll explore what worked well, what didn’t, how long that step took and, in some cases, why certain steps were not done in order, or were even skipped. In At C-Level 18, we’ll look at the common themes that emerged from these transformations, then summarize and wrap up this part of the series. I’ll be very candid with my assessments of those transformations and, hopefully, you’ll pick up some ideas that will help you transform your own organization! Thanks for following the series! Please look for At C-Level blogs #11-18 over the next several weeks!